Such a good, sweet boy from day one! Mama said she should have named me Rowdy. Reminds. E of someone else we all know……paw bump! It was for such a short time–but I am sure u remember the alone time and the quiet, but u wouldn’t be the dog u r today without the interactions u have had with your sister–she has contributed to your ” dogiality”. You would not have had such adventures without her! You are nice, Piper but Sister is something else. Being an only bird means I get to laugh at everyone else because they’re members of inferior species. We bet that you are happier now. My Peep thinks you were a cutie tatootie! 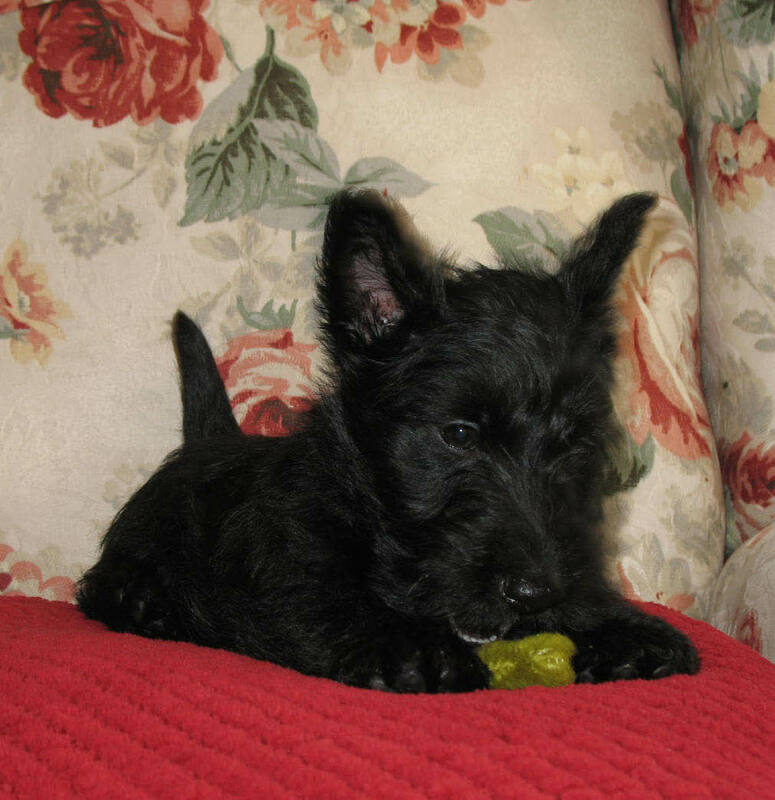 Mom says there is nothing cuter than a Scottie pup. OMD! You are surely gonna push mum over da edge! Come on, no fair showin’ such cuteness and Scottie baby love pictures of Indy, no less! Mum is on da floor dying’ we tell you! Afore she hit da floor, she muttered “I can die happy now I’ve seen da most darling doggie pic ever!” (She says dat eber time you shows a picture of one or da two 2 of you!) Especially when dey is baby pictures! Indy sure is a GOOD boy…and darlingly cute! Just no fair to keep showing such adorable pictures–mum’s gonna hafta go visit you in person! Keep ’em coming, cuz we raids da cookie jar while she’s “out” on da floor. When she comes to she comes ober and starts to cuddle and kiss us too! So we likes it! BOL. Thanks. I was cute but Mom says I was a terror. OMD…mom just literally melted right off her chair. She is a sucker for a Scottie pup!